There aren’t too many television shows out there that portray men in a positive light these days. Men on sitcoms are usually dimwitted doofuses or cartoonishly macho. It’s not much better on TV dramas. 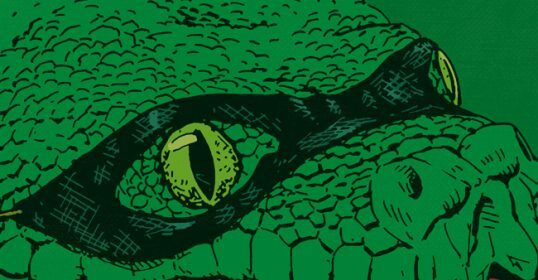 While I can point to books or movies that inspire me to be a better man, it’s hard for me to do that with today’s crop of small screen offerings. NBC’s Friday Night Lights is a refreshing exception. Friday Night Lights is a show about football that’s really not about football. Based on the book and movie of the same name, FNL takes place in the fictional town of Dillon, TX and follows the lives of head football coach Eric Taylor and his family, the players he coaches, as well as a whole host of other characters. Kate and I were a little late getting started with FNL. The series began in 2006, but we didn’t start watching until 2010. We heard about FNL‘s masterful writing and quality acting, but we never got around to watching the show. When Gus was born, we rented the previous seasons and started watching the show from the beginning. We were hooked. The acting and writing was so realistic it was easy to forget that these weren’t real people. A few months later we sadly said goodbye to our friends in Dillon as we watched the final episode in the series. There’s so much I could say about what easily became my favorite television show of all time. But what struck me most about the show was the way the men in Dillon, TX were portrayed. They weren’t perfect by any stretch of the imagination. They were human, and they screwed up, sometimes royally. But despite their shortcomings, most of them strived to be better men and to do the right thing. 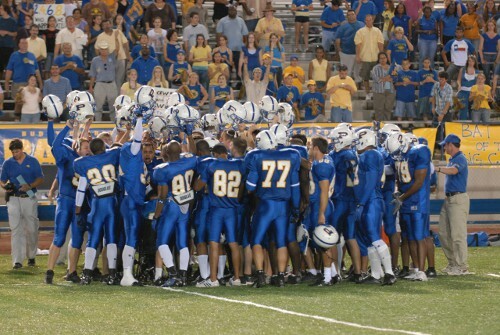 I never thought I’d say this about about a TV show, but Friday Night Lights helped me become a better man. There are so many things I learned about being a better man from the show, but here are a few of the big ones. If you haven’t seen the show yet, do yourself a favor. Stop reading this post and go rent it on Netflix. I’ve got some spoilers in here, and I don’t want to ruin the show for you. If you’ve seen the show, then please join me as we explore lessons in manliness from Friday Night Lights. I love a good underdog story and FNL is filled with them. 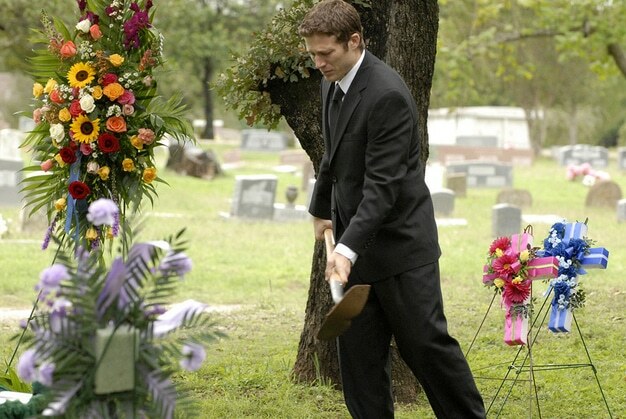 In the first season, we see sophomore Matt Saracen thrust into the starting quarterback position after star QB Jason Street suffers a paralyzing injury. The whole town writes off Saracen and the team’s aspirations for a state title. But Matt proves the naysayers wrong by quietly leading his team to a state championship. A few seasons later, Coach Taylor is ousted from the head coach position at Dillon High and is given a head coaching job at East Dillon, a school in the poorer part of town that’s re-opening after years of being closed. The rundown facilities, lack of funding, and dearth of experienced players squelch any chance at a state title, let alone a winning season. But instead of wallowing in self-pity, Coach Taylor relishes his underdog role and sees it as a challenge to become an even better coach. Instead of relying on fancy equipment and facilities, Coach Taylor had to spend more time working on the basics and developing passion and teamwork in his players. The result? After a year of rebuilding, an unexpected state championship. Whether it’s football or business, always relish the underdog role. It keeps you hungry and humble. It frees you from the scrutiny and expectations of others, and allows you to do things your way, to get creative and bootstrap. Most importantly, it forces you to focus on fundamentals. Instead of seeing the underdog role as a disadvantage, use it as an opportunity to become a better man. No man looms larger in a man’s life than his father. For better or worse, his influence is inescapable. He is our model for manhood. Thus few things elicit stronger feelings in a man than his relationship with his dad. I think every boy wants a perfect father. He wants the man who acts as protector when things go bump in the night, who teaches him how to break in a baseball glove and how to shave, who gives him advice on women, and who becomes a friend and confidant later in life. No dad lives up to their kids’ expectations 100% of the time, but when a boy’s father fails to even be there at all for his son, it can create emotional wounds that he carries into adulthood. For many men, coming to peace with their relationship with their father is the biggest step they have to take on the path to manhood. FNL did a bang up job exploring the sometimes emotionally fraught relationship between father and son. Most of the players had issues with their dads. In season one, running back Smash Williams has to come to peace with his dead father. Tim Riggins’ dad just up and left him and his brother. He tries to reconcile with his dad–still holding out the hope that he might be the father he’s always wanted–but sadly learns that his dad’s a deadbeat, and so he moves on. In the final season, Vince Howard grapples with his ex-con drug-dealing dad getting out of jail and moving back home. But perhaps the most poignant example of a young man coming to peace with the relationship with his father is Matt Saracen. Matt’s mom took off when he was young, and his dad is a career soldier who has been gone on deployments most of Matt’s life, leaving him alone to take care of his senile grandmother and forcing Matt to grow up faster than most boys his age have to. When Matt’s dad returns home, the two don’t get along, as Matt is filled with angry feelings of abandonment. After Matt’s father returns to Iraq and is killed in combat, Matt is forced to come to terms with the man he claims to hate. We get to see him go through all the stages of grief. In the end, he doesn’t forgive his father. Instead, he figuratively and literally buries the relationship with his dad and moves on with his life. Coming to peace with your relationship with your father can mean different things to different men. If you had a good relationship with your dad, it may mean learning to see your father as just a man instead of a larger than life character. If you had a crappy relationship with your dad, coming to peace with your father/son relationship doesn’t mean you have to feel good about your dad or even reconcile with him. It just means accepting the bad relationship, learning from it, and moving on with your life without it burdening you. 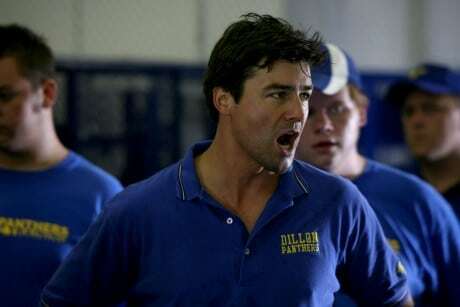 Coach Taylor loved to win football games. But watching the young players he coached mature and develop into good, strong men gave him even more satisfaction. Coach Taylor knew that many of his young players looked to him not only as a coach, but also as a mentor and father figure. Eric Taylor didn’t ask for that role, but he took it on because he understood that the greatest thing a man can do is leave behind a legacy of manliness by nurturing and fathering young men into manhood. There are so many examples in the show of players showing up at Coach Taylor’s door in the middle of the night looking for help and advice. Without fail, Coach Taylor took them in. He didn’t handle his players with kid gloves by coddling them. He demanded excellence and would sternly rebuke his players if they didn’t fully perform to their potential both on and off the field. We need mentors to develop fully as men. But at a certain point, it becomes our responsibility to become mentors ourselves and pass on the art of manliness. The great thing about mentoring is that the mentor often gets more out of the relationship than the mentee. In the last episode of the show, Coach Taylor tells Vince Howard, a one time juvie turned star quarterback, “You may never know how proud I am of you.” To which Vince answers, “You changed my life Coach.” That’s legacy. The theme of redemption was woven throughout each season. Several of the characters fell on hard times because of their own choices and because of just plain bad luck. My favorite example of a man redeeming himself is slick-talking car salesman and booster president, Buddy Garrity. When the show first started, I couldn’t stand Buddy Garrity. He was just a sleaze ball. He was a drunk, he cheated on his wife, and spent his daughter’s college education fund in a bad business deal. Buddy also had a tendency to sow the seeds of dissension on the team and cause Coach Taylor unneeded headaches. You could tell he did it purely for the power trip. People like that really bother me. I’ll admit I was happy to see Buddy get his comeuppance when he lost his business, his family, and his cherished role as president of the Dillon Panthers booster club. It’s always nice to see cosmic justice in action. But then something happened. Buddy Garrity quickly went from being my least favorite character on FNL to one my favorites. Why the change? Because Buddy sought for redemption. Buddy used his personal crucible as an opportunity to become a better man. Ousted from his beloved Panthers, Buddy swallows his pride and becomes a big booster for a rival of his high school alma mater, the East Dillon Lions. He opens up another business in the poorer East Dillon side of town and quickly becomes a part of the community. He takes in a former juvenile delinquent named Santiago and becomes sort of a father figure to him. And in the last season we get to see Buddy repair his relationship with his estranged son, Buddy, Jr. Finally, at Tim Riggins’ parole hearing, he stands up for a young man he had respected as a football player but detested as his daughter’s boyfriend and offers him a job at his restaurant, and his own shot at getting back on his feet. There are such things as second acts in life. Buddy Garrity is a perfect example of that. 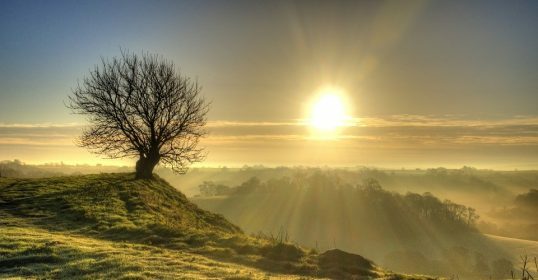 If you’ve screwed up in life, humble yourself, and fight like the dickens to make things right. A recurring theme on FNL is the desire of the young folk to get out of Dillon, TX. They feel trapped by the town. They hate that everyone knows everything about them. And yet…they always come back. It’s a part of them. They can never fully leave it. I think we’ve all experienced that feeling. We want to explore the world and find new horizons, yet we long for the comfort of home and community. We want the freedom and the lack of responsibility that comes with anonymity, but we also long for a sense of place and belonging. Texas Forever began as a pact that between Tim and his friend Jason Street that they’d never leave Texas. But I think there’s more to the saying than that. It means never forgetting where you came from. It means holding in your heart the community that molded you into the man you are. No matter where the branches of life take you, keep your roots planted in firm soil. It keeps you grounded as a man. 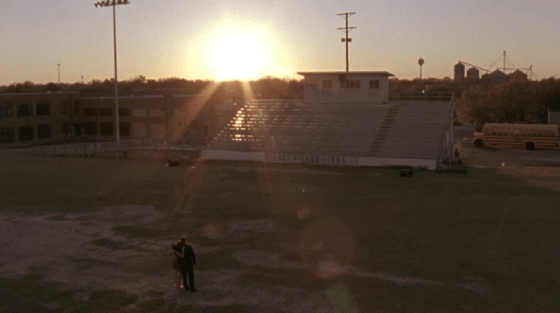 While on the surface Friday Night Lights was a show about football, the heart of the show was truly the relationship between Eric and Tami Taylor. It’s by far the most realistic depiction of a good marriage I’ve ever seen on TV. 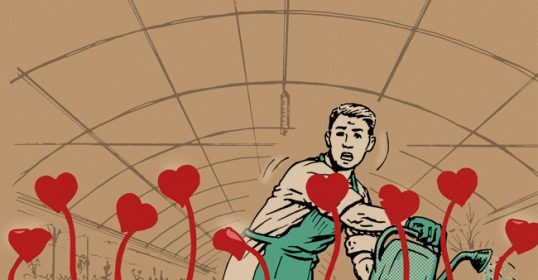 Most TV shows depict marriages in which the husband is suffocated and henpecked by the wife, or ones in which each of the partners is forever on the verge of an affair or the couple is sliding towards divorce. Instead, the Taylors looked like most married couples I know–solid, happy, and committed. They were confronted not with the over-the-top drama typically depicted on the small screen, but with the everyday struggles that strain most marriages, like balancing work and family, handling an unruly teenager, or just figuring out who’s cooking dinner. Perhaps the biggest conflict between Eric and Tami was balancing their respective career aspirations. Eric wanted to coach football. That was his calling in life. And for most of their marriage, Tami supported her husband’s dream by moving from job to job. Without her support, Coach Taylor could not have been as successful as he was. But when Tami’s career in education starts to take off, her personal goals quickly become incompatible with her husband’s. Cue the marital tension, and the eventual self-sacrificing compromise. Despite their relationship conflicts, Tami and Eric were committed to their marriage. They were always able to resolve their problems with love and respect. Eric understood that a man’s closest ally and adviser is his wife. When he had a problem with the team, he’d often ask Tami for her input while they were laying in bed right before they fell asleep. (Kate and I have those same kinds of bedtime conversations. I’m sure most married couples do too.) He understood the power of a marriage mastermind. He saw his wife not as his inferior or superior, but as an equal companion that was there to help him become the best man he could be. 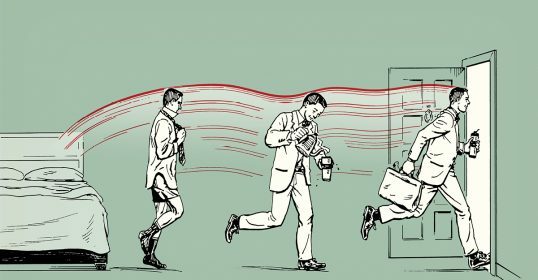 Despite the popular depictions of men as lone wolf types, the reality is that men thrive most when they’re part of a team that’s united by a common goal and purpose. We need other men who will be there to push us to reach our potential and who’ll offer a hand when we fail. Knowing you belong to a group of men who have your back instills confidence and a sense of belonging and brotherhood that we all crave. In FNL, we see the power of team take center stage. The young players took on challenges together on and off the field. They’d often meet on the empty football field with a few beers in hand to throw the ball around and just talk life. Sometimes they fought and argued, but if one of them needed something, the whole team was there to support him. Two specific instances from FNL come to mind that showcase the power of male friends in a man’s life. The first is Vince Howard. When we first meet Vince, he’s running from the cops. 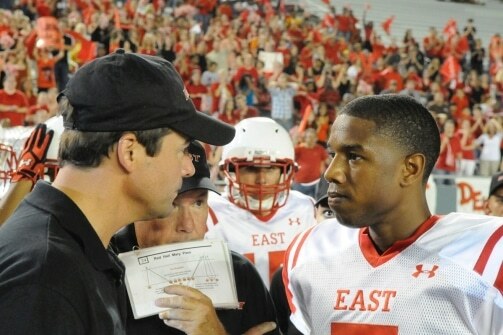 But Coach Taylor brings him onto the football team and his life transforms. We see him mature into an honorable young man in just two short seasons. Sure, Coach Taylor’s mentoring had a big role in Vince’s transformation, but I think being surrounded by a group of good guys had an even bigger impact on Vince. 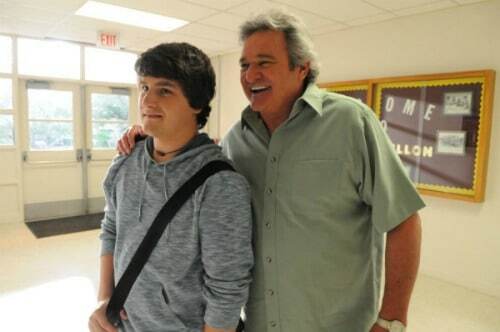 The second example is Buddy Garrity, Jr. His mom ships him back to Texas from California because he’s been acting out. After finding Buddy, Jr. in the aftermath of a massive bender, Buddy convinces his son to go out for the football team, knowing that it will help turn his life around. And it does. The East Dillon Lions bring Buddy, Jr. into the fold and give him the sense of belonging he’s needed. I couldn’t possibly end a post about Friday Night Lights without extrapolating the lessons from Coach Eric Taylor’s iconic motto for his teams. So simple and yet so profound. What does it mean? I think it means no matter what the score is on the scoreboard at the end of the game, as long as you can say with a clear conscience (clear eyes) that you played with everything you had (full heart), you can never lose. And so it is in life. Our goal as men should be to be able to look ourselves in the mirror each night and tell ourselves we gave it our all. Even if things don’t turn out the way we wanted, there’s a peace of mind that comes from knowing you did all you could to succeed and you did it with integrity. Are you a Friday Night Lights Fan? What lessons in manliness did you learn from the show?